Improve your well-being and relaxation with wa (Japanese) style bath. This beautifully illustrated booklet can enhance your well-being from increasing better quality of sleep and relaxation, to helping detox your skin, and even boosting your metabolism and blood circulation. It truly is self-care in its simplest, purest, form. Included are easy step-by-step guides, tips and information from bathing experts that were either previously unavailable or difficult to find in English, along with time-tested Japanese bathing customs. 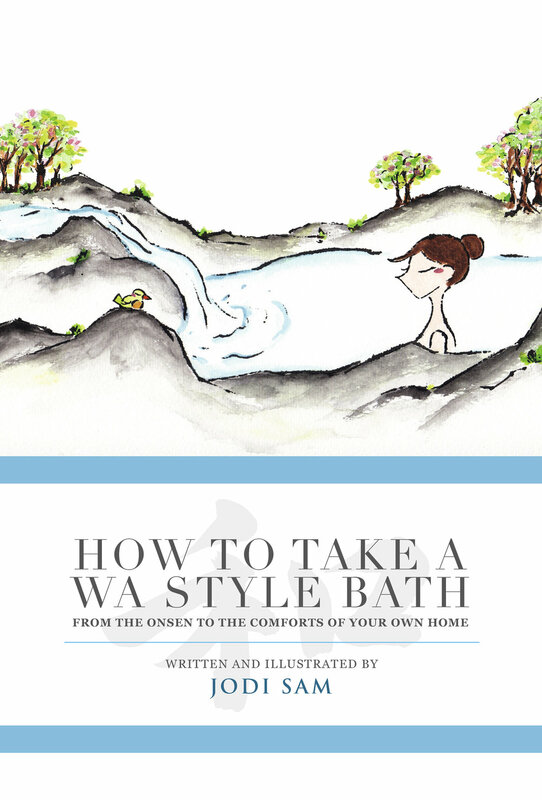 Learn how to take a proper wa style bath–no matter at the onsen (hot spring), sento (public bath), or at the comforts of your own home. This will undoubtedly help both novice and regular bathers discover the many health benefits and joys of taking a wa style bath. Your body, mind and soul will definitely say arigatou (thank you) for it! Available now internationally in paperback and eBook (Kindle) formats! Special note to Canadian buyers, Blurb is a good option for Paperback.